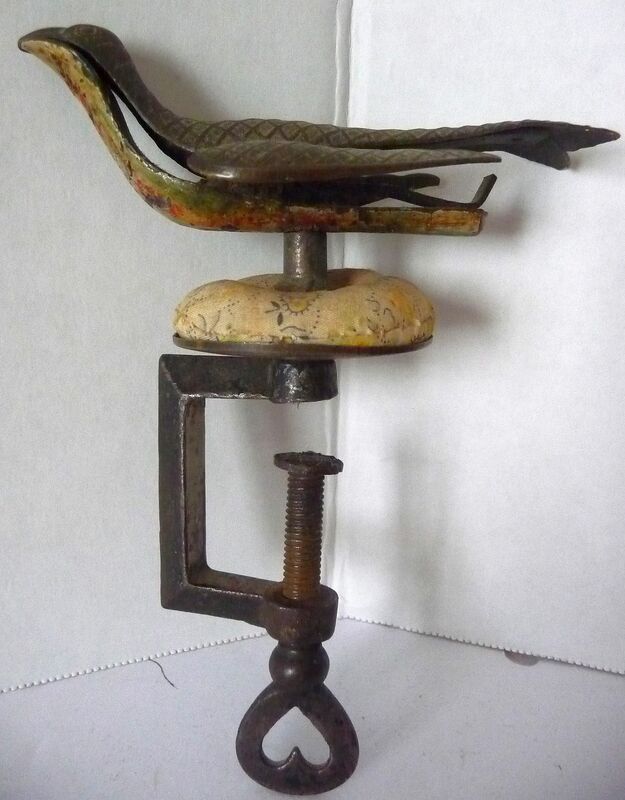 This wonderful iron and brass bird is an English 'sewing bird' made in the early 19th century. 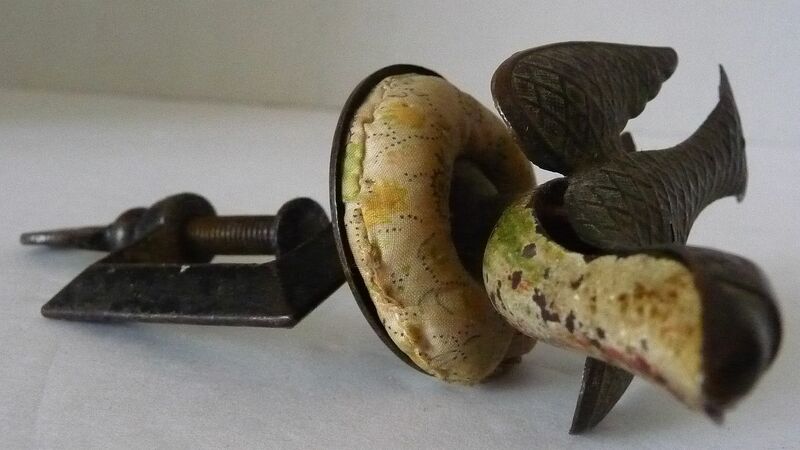 It is marked under the pin cushion "NORTON'S IMPROVED PATENT APPL'D FOR MAY 1853". 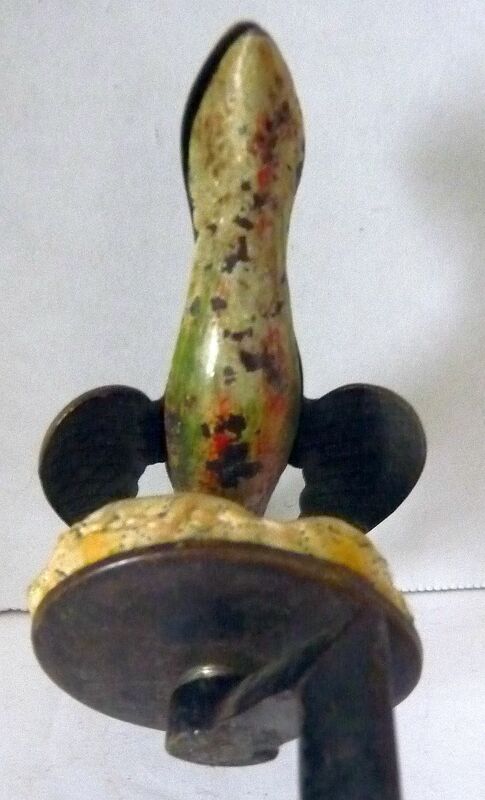 It has been enamel paint decorated under the body. The top is cross hatched brass. It was clamped to the table while sewing (note the heart thumbscrew). It has a strong spring under the tail of the bird. When you squeeze the bird's tail, its mouth opens to receive the fabric being sewn and hold it in its mouth. 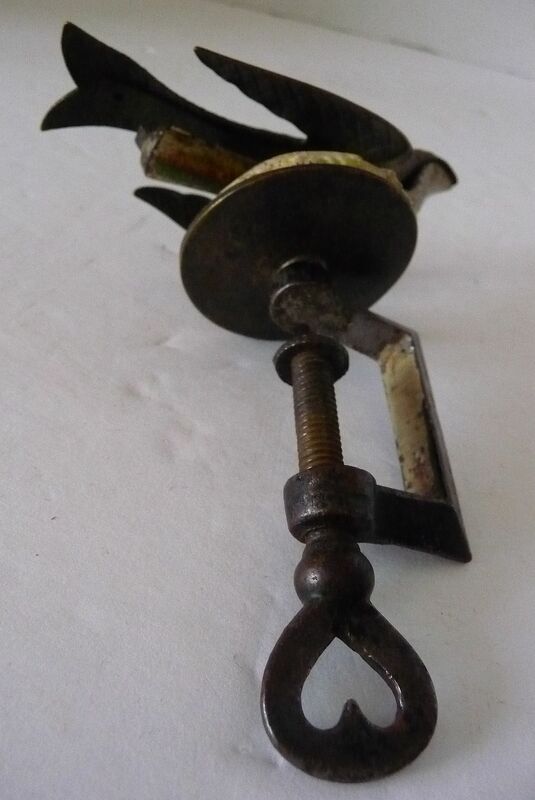 It was so useful to the seamstress; it was often referred to as a 'third hand'. Reference: Sewing Tools & Trinkets by H. Thompson p. 134. 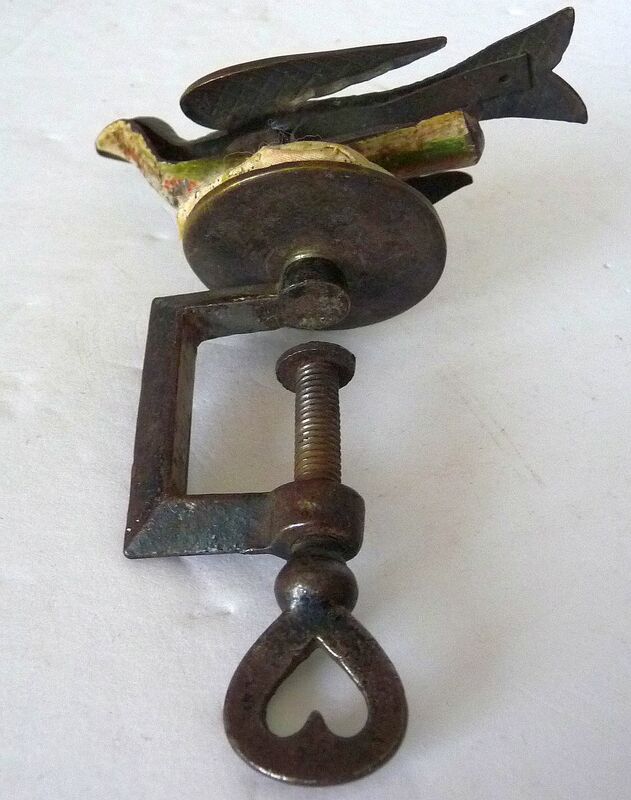 Approximate Dimensions: The bird is 3 3/4" long and the entire clamp is 5" high. 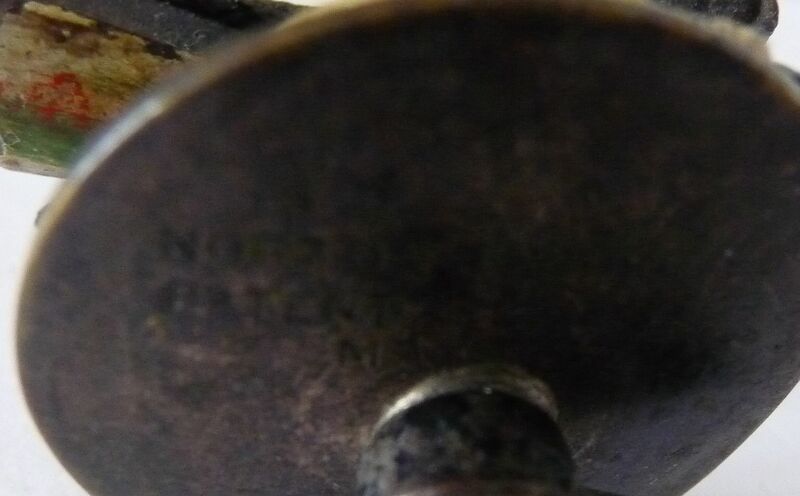 The Condition: Shows minor wear as expected from age & use. There is no damage, spring is strong. It retains its original pincushion.